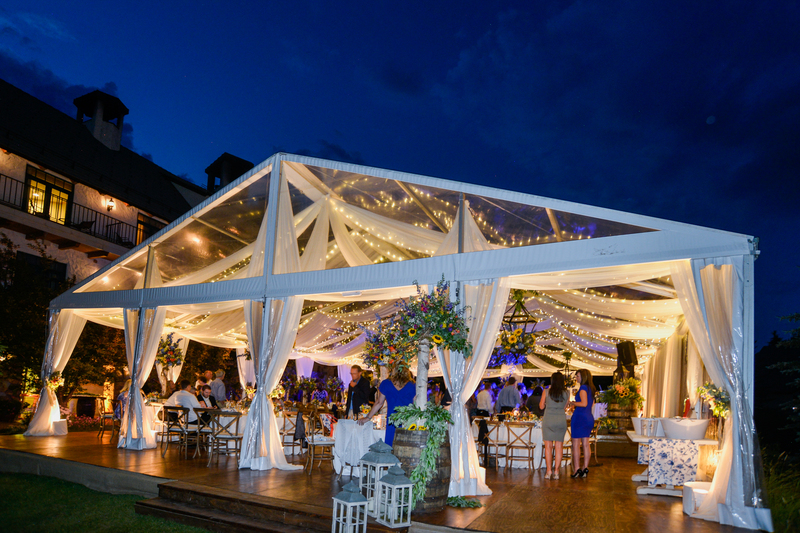 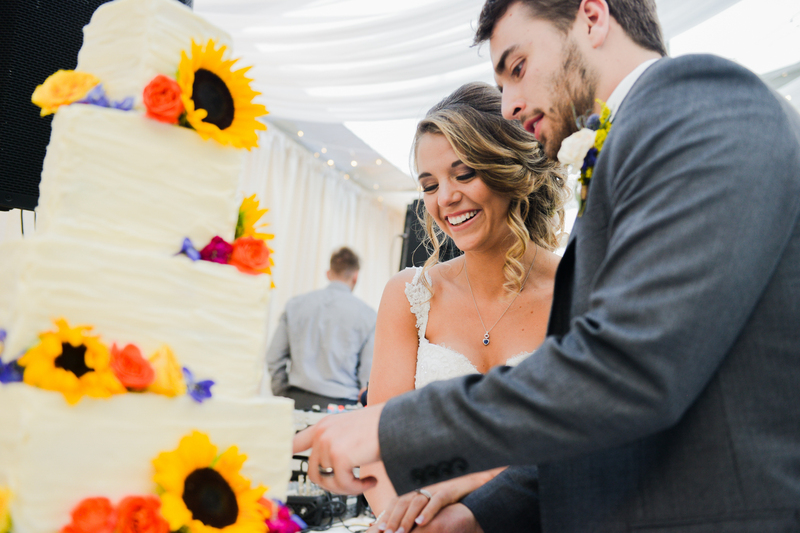 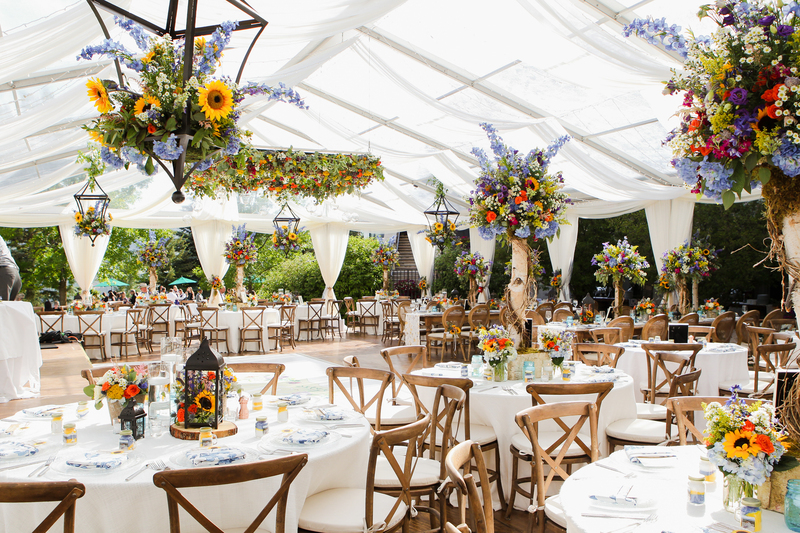 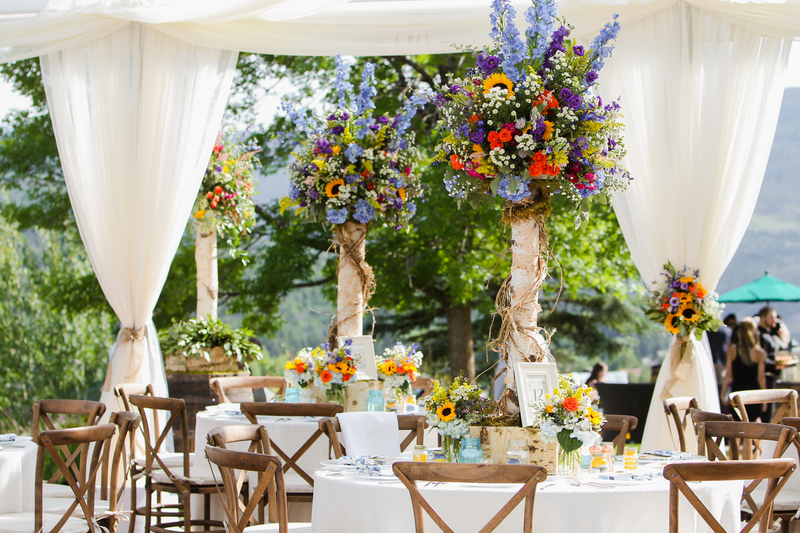 Not only was the reception and tent area covered in the most amazing and vibrant florals, both on the tables and hanging from the ceiling, but they were overflowing and accenting the ceremony site. 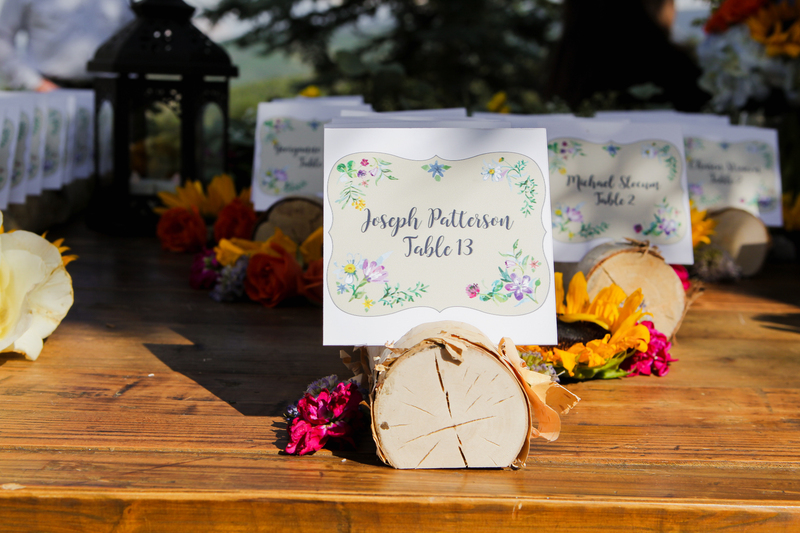 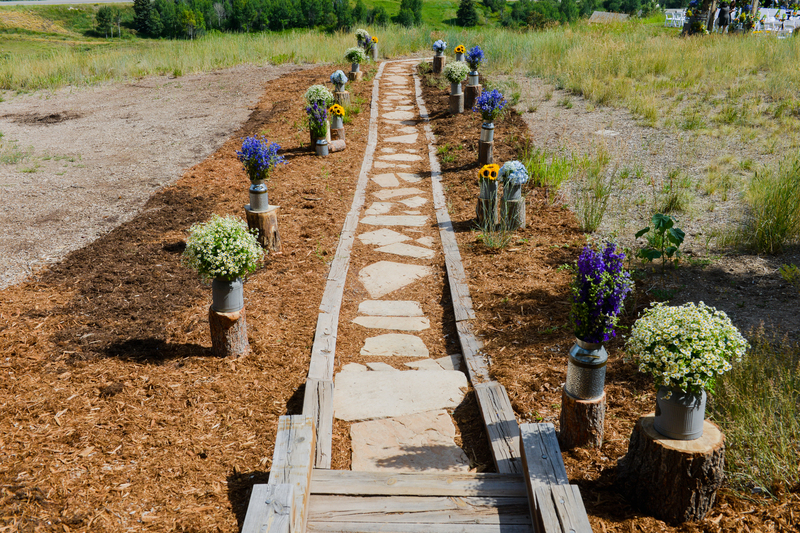 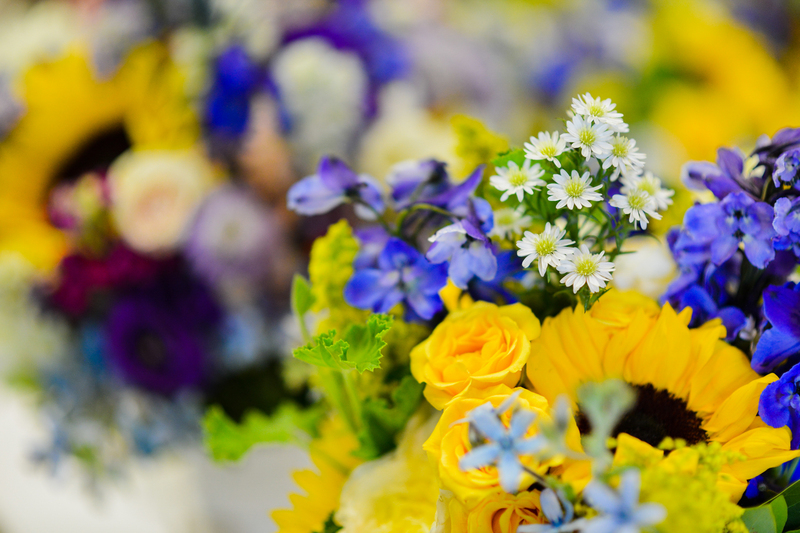 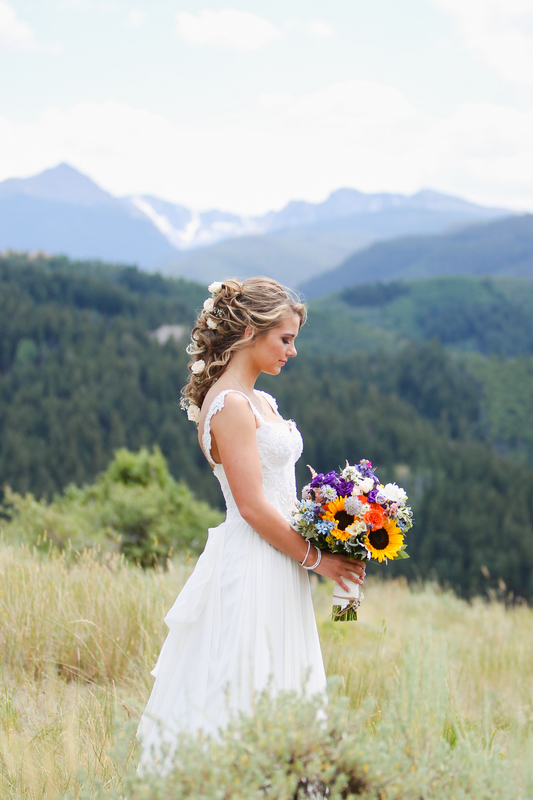 The floral focus included sunflowers, lupines, bluebells, daisies, and a plethra of colorful wildflowers. 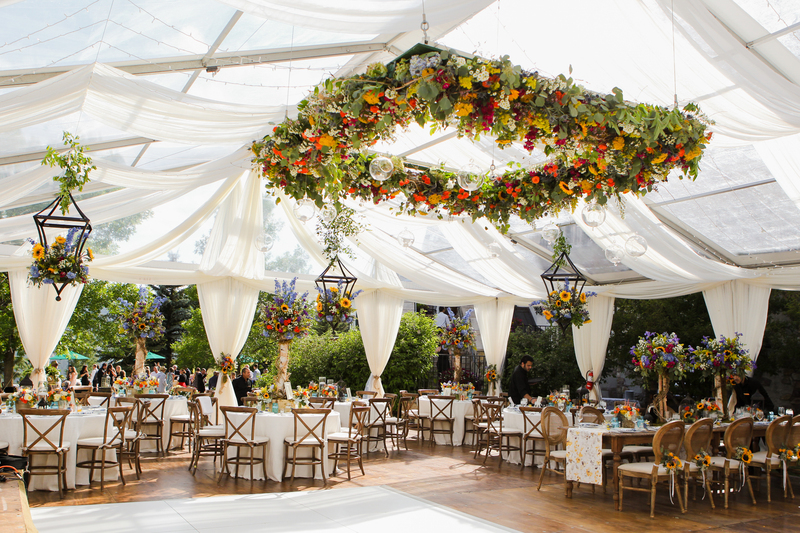 Hanging floral chandeliers were added to create a floating garden effect over select guest tables and a large one as a focal point over the dance floor. 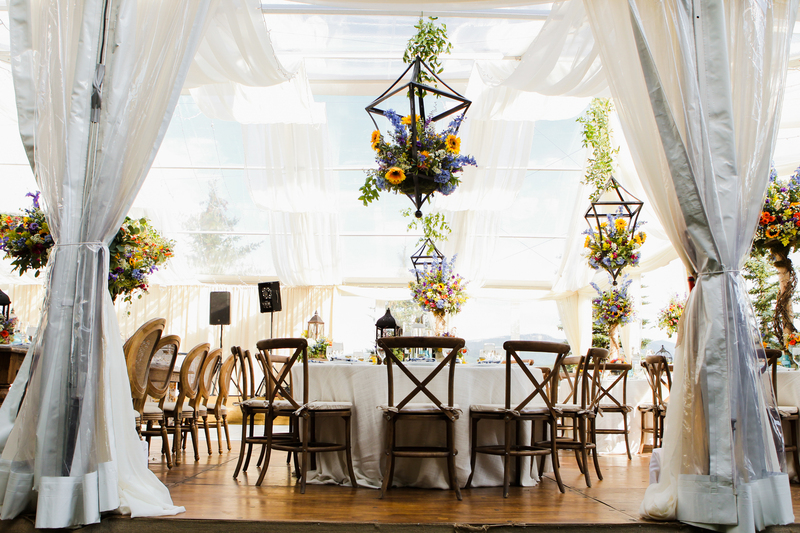 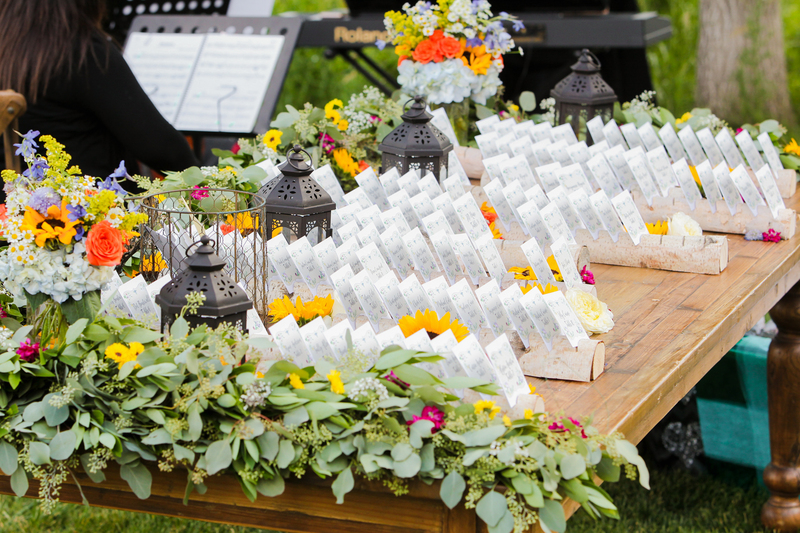 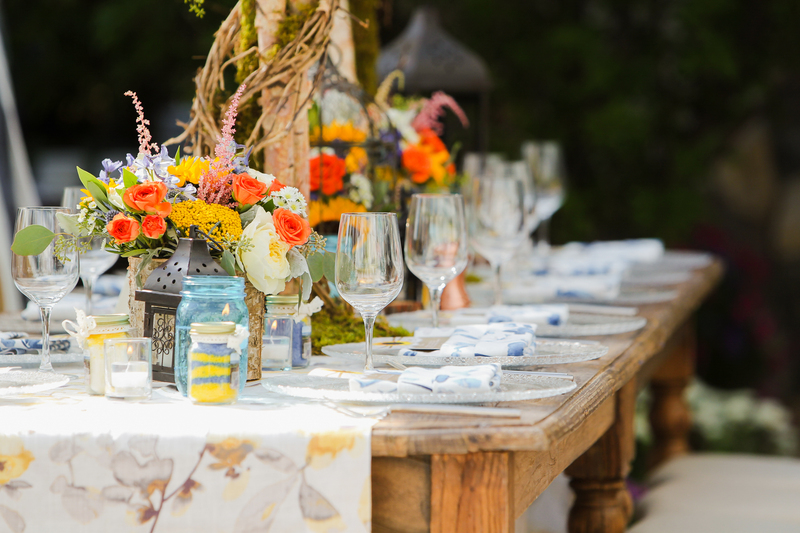 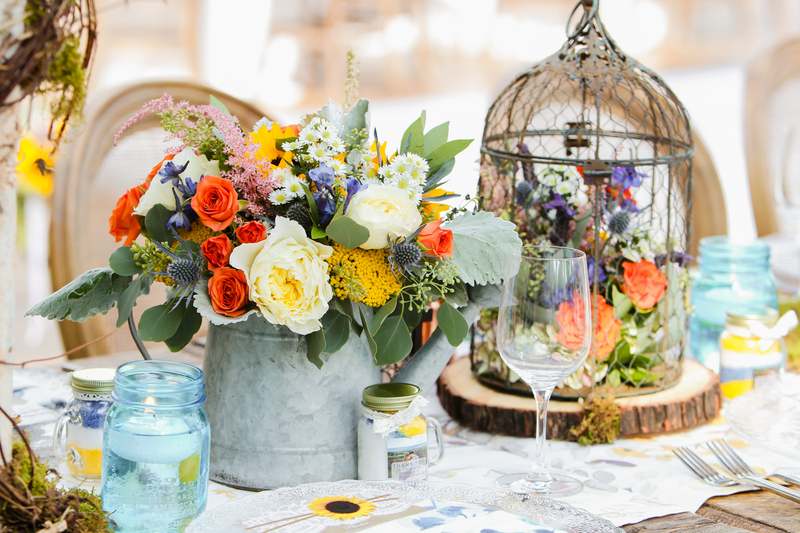 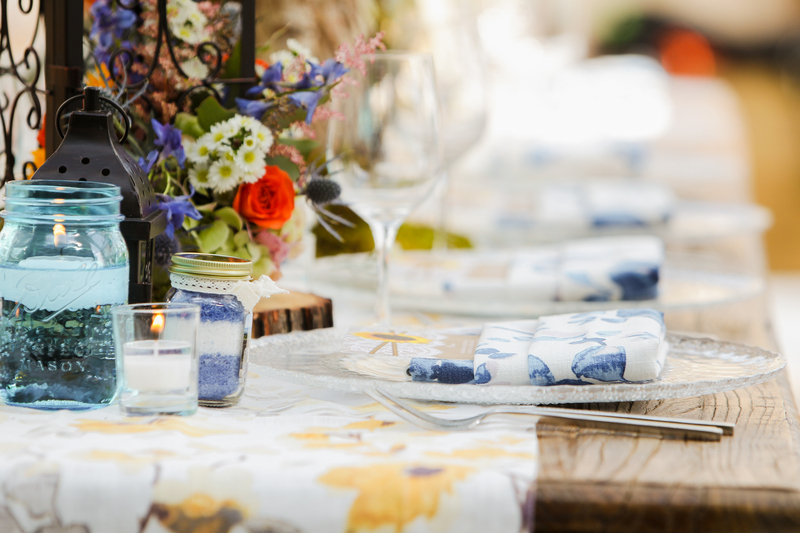 Various styles of floral arrangements, lanterns, floating candles, watering cans, and bird cages adorned the tables. 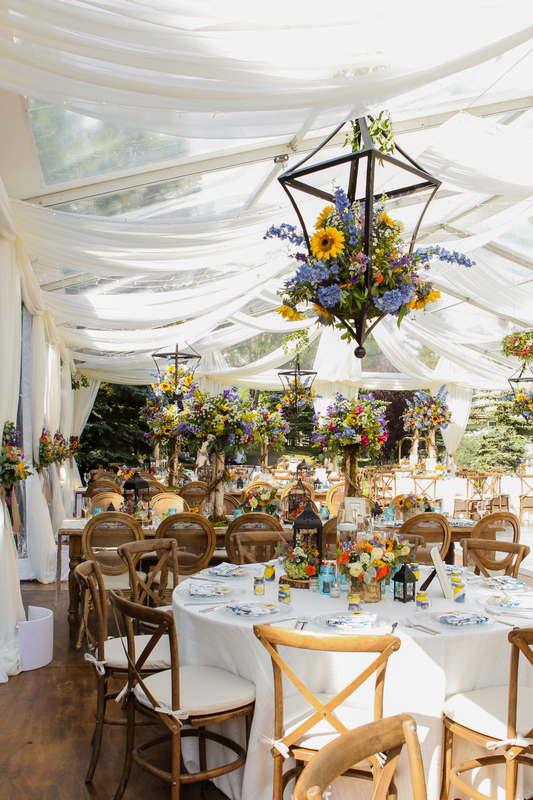 The head table in particular was fashioned with a tall topiary and similar assorted vessels to create a lush tablescape. 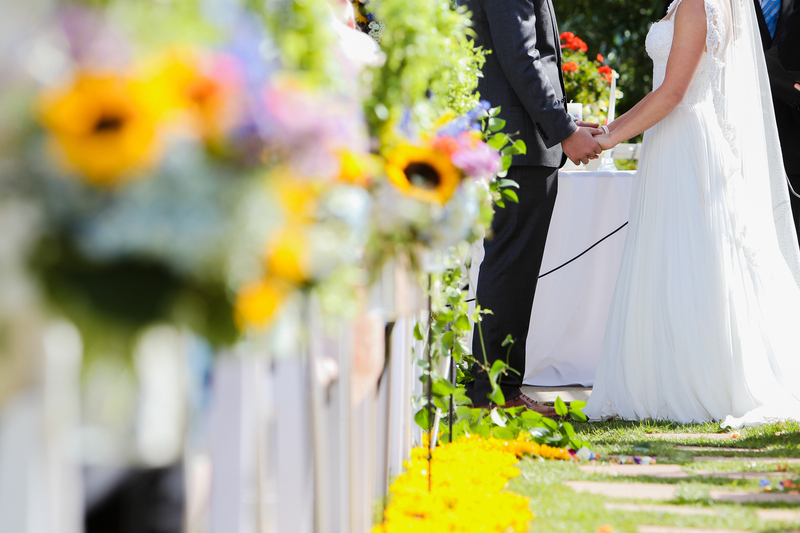 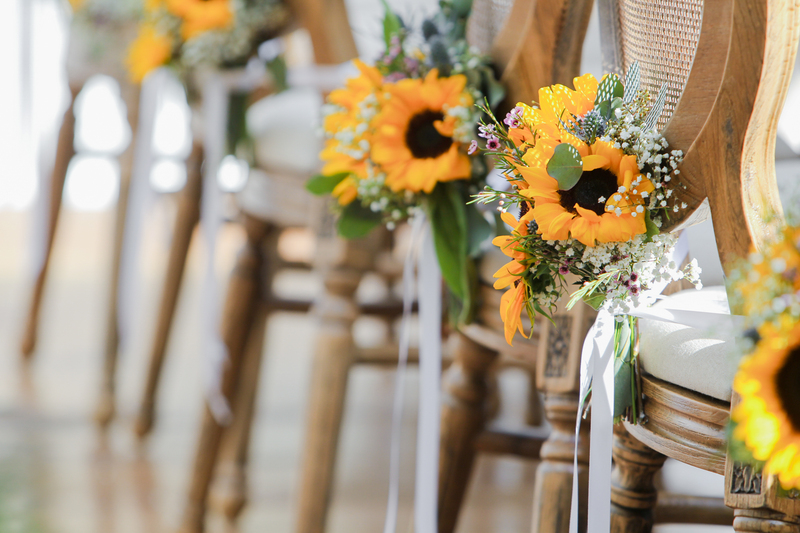 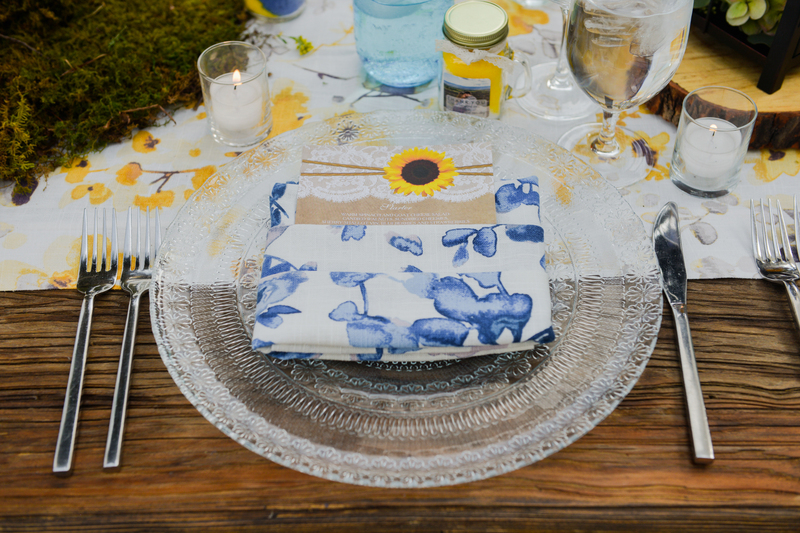 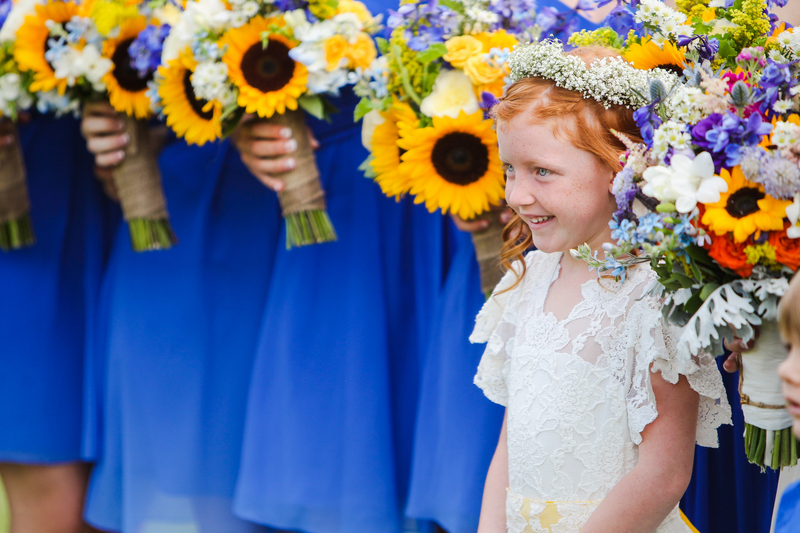 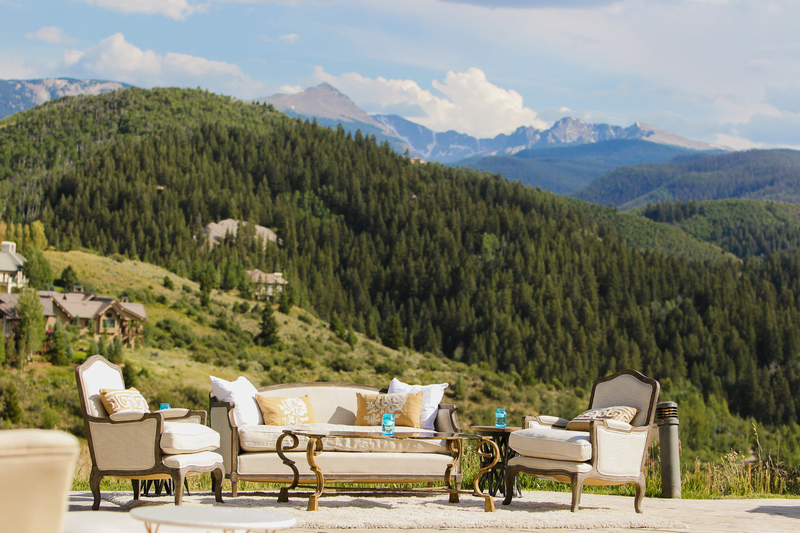 See more photos and florals in our feature on Boho Weddings.